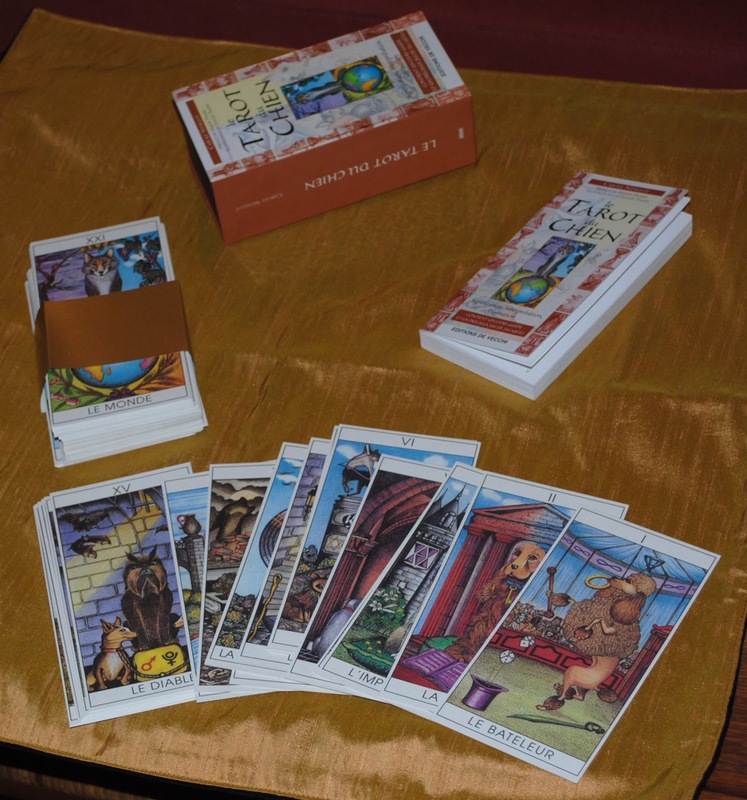 Carole Sedillot has written on alchemy and Jungian psychology as well as on tarot. She and Trapet already collaborated in 1989 to produce their first edition of the Tarot du Chat. 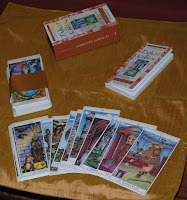 The deck features various dog breeds on the major arcana and court cards. 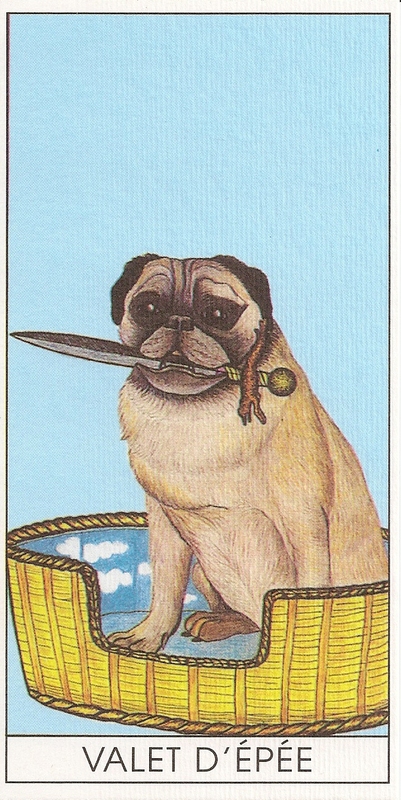 Pip cards are decorated with dog symbols. The suits are color coded. Wands are yellow with red flames for fire. Cups are pink, with water bowls, swords are light blue and discs are yellow with a floral design. Sedillot doesn't merely intend to create an art deck with a cute substitution of canine figures. As she states in her book, her intent is to present the concept of the dog as the constant companion on the Fool’s journey. 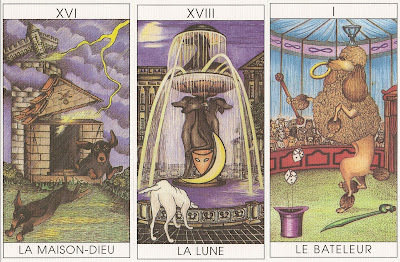 To accomplish this, she has cast the canine as the central figure of the cards, presented to the Fool in order to assist, teach and enlighten him as he proceeds on his journey. The art is pen drawings with coloured pencil. The deck came with a book in French only. The first edition was published by Noeme in 1992.